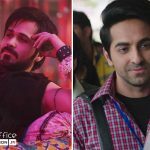 Due to positive word of mouth, last week’s offerings from Bollywood, Baadshaho and Shubh Mangal Saavdhan have passed the second weekend on a better note than new ones at box office. After a good opening week, both the movies are getting good response in the second week as well across the country. Director Milan Luthria’s this action historical drama is the story of a gold heist set against the backdrop of 1975 during the time of Emergency in India. The movie stars Ajay Devgn, Emraan Hashmi, Vidyut Jammwal, Ileana D’cruz, Esha Gupta and Sanjay Mishra, received mixed reviews from critics but got succeed to entertain audience. In the opening week, Baadshaho reported overall good performance and did the business of 64.14 crores, that included 43.30 crores of weekend and 20.84 crores of weekdays from 2800 screens nationwide. Now it is running in second week and registered good business in this weekend as well despite having new offerings Poster Boys & Daddy in opposite. On 2nd Friday, Ajay Devgn starrer minted the amount of 2.10 crores with around 41% of drop than previous day. Then with little jump due to weekend, it raked 2.60 crores on Saturday and 3.03 crores on Sunday. With this total 10 days collection of Baadshaho has become 71.87 crores. On the other hand, Ayushmann Khurrana and Bhumi Pednekar starrer Shubh Mangal Saavdhan has showed more better performance in this weekend. After a good opening week with 24.03 crores of business, that included 14.46 crores of weekend and 9.57 crores of weekdays, it once again picked up very well. On 2nd Friday, RS Prasanna’s directorial collected the amount of 1.54 crore with around 26% of drop than Thursday. Then on Saturday it witnessed 91.5% of jump and minted 2.95 crores. While on Sunday, Shubh Mangal Saavdhan bagged 3.34 crores and raised it’s 10 days domestic total to 31.86 crores.